Tag Archives: Supreme Pharmaceuticals Inc. This story was originally published at www.proactiveinvestors.com on May 18, 2016 and featured in The CSE Quarterly. Legalising marijuana for medical use can still be a thorny topic in some countries. But Supreme Pharmaceuticals Inc. is hoping to lead the way in harnessing its acceptance and benefits in Canada. Supreme obtained regulatory approval to grow medical marijuana at its site in Kincardine, Ontario, in March. The company is on track to harvest its first crop in the summer and hopes to get final approval to sell it in September or October. In the US, four states have legalized the plant for recreational use and 12 others allow its consumption for medical purposes, although that remains a relatively small proportion of the country as a whole. But in Canada, the medical marijuana business has legalised progressively in the last 15 years. A key milestone came in 2014 when the government’s Health Canada arm introduced the Marijuana for Medical Purposes Regulations. The government also said last month it will press ahead in 2017 with plans to legalise marijuana for adult recreational use. That market is expected to be worth US$5bn a year by 2020 according to leading industry analysts. Supreme is targeting a domestic medical market, which it expects to be worth about US$100mln by the end of this year and US$1.2bn by 2020. Supreme’s president and chief executive, John Fowler, said he believed Canada was doing better than some other countries in overcoming concerns about using the plant for clinical purposes. “I wouldn’t say the stigma has gone but we’re moving in the right direction,” he said. Fowler began working in the medical marijuana sector more than 10 years ago. He pursued a legal career to help medical marijuana patients with legal challenges relating to access, jobs and tenancies, working on major cases. He now sees his mission as being not only to provide Canadians with access to high-quality, low-cost medical marijuana, but to work with physicians to improve their awareness and support for it. “The hope is that the doctor will be more educated and more willing to subscribe to the company’s products,” he said. 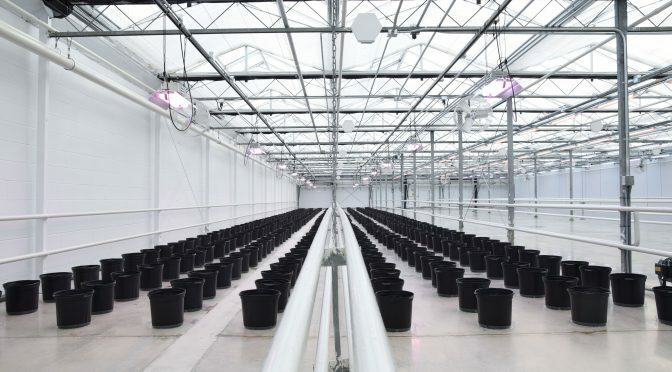 Supreme and its wholly owned subsidiary, AMMCan, have set up a federally-licensed, seven-acre greenhouse in Kincardine on the shores of Lake Huron. When fully operational, the company expects to be able to produce in excess of 50,000 KG per year. Supreme has obtained exclusive rights to work with international seed supplier Dinafem. The arrangement will provide Supreme with access to over 100 unique cannabis strains to put into production in the Kincardine greenhouse. “Choosing the right genetics is one of the most important aspects of producing high quality cannabis for both medical and recreational markets,” Fowler said. Supreme has raised more than US$10mln, three quarters of which it has spent on fitting out the greenhouse and the rest of which it still has in the bank. It expects those reserves to sustain it until it starts earning revenue from marijuana sales later this year. Supreme is among about 25 companies holding 31 licences to produce medical marijuana. The current market of about 45,000 patients is increasing at a rate of about 5,000 per month and is on track to more than double in this calendar year. Supreme’s primary aim was to supply the consumer market direct by mail order. But it is exploring the possibility of becoming more of a business-to-business supplier of licensed marijuana to other companies that would retail it. Supreme has had to take extensive security precautions at Kincardine to prevent theft, such as high fencing and cameras, and the end product is stored in a vault. “We like to joke that our marijuana in the vault will be more secure than our money in the bank,” Fowler said. Fowler also acknowledges the general risk of abuse of the product. However it is worth pointing out marijuana consumption is seen to be less dangerous than tobacco or alcohol with few reported side effects, he said. Strict regulation compels the company to ensure its products are not contaminated by pesticides or other substances that may be in marijuana bought from street dealers. Supreme has international ambitions and is eyeing opportunities in countries such as Australia, Germany and Austria. Canberra recently legalized marijuana for medical use and Berlin and Vienna are considering doing the same. The company believes it will be able to generate US$200mln in annual domestic revenues within the next decade. This keeps the company’s focus on executing on its domestic business as a top priority. cse issuer storiescse quarterlySupreme Pharmaceuticals Inc.